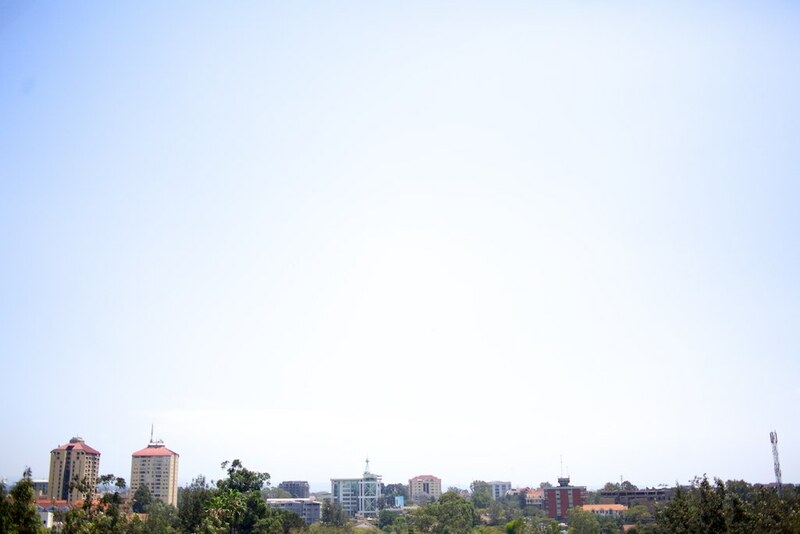 Nairobi, a home away from home. I'm excited to announce the launch of South Sudan Emerging's Kickstarter campaign. Over the next month, we'll be raising $17,000 towards the next phase of filming in South Sudan. My vision for this film is to tell the story of what it feels like to suddenly find that your people have their own country. What would that change feel like? How far could you reach? What would you do? I'll be telling the story of three friends who have big dreams for their country. Each dream is as different as they are. The ultimate goal is to get the rest of the budget funded through grants, but I love the idea of getting this off the ground through grassroots methods. I'm not good at asking for money, which is why I love Kickstarter.com. I love the idea of actually giving people stuff for their help. Check out the campaign page and see if there's something that interests you. Two weeks ago on my way to the gas station, I got a phone call from South Sudan. It was Kuol. He was wondering if I was coming back to Juba. Kuol was winding down after a day of sweeping mines and wanted to catch up and say hi. He’s halfway through a three month contract as a minesweeper in a rural village with an American de-mining company. He’ll be back in Juba in May unless he picks up another three months. It’s exhausting work from what I gather. The infected area is hot and at the edge of an abandoned field enclosed with plastic ribbon tied to stakes, similar to what you see in archeological excavations. Everything inside that plot is potentially marred with mines. Everything outside should be safe. Untie the tape in one section and slowly move the equipment one step inside the perimeter. Then scan and analyze. Take another step. Scan. Analyze... A good day might cover forty feet in one direction. Also, it’s hot. “How is your family?” he asked through digital compression and his rolling South Sudanese accent. “They are doing well! My daughter is almost six months old now,” I said. “That is very good to hear. When are you coming back to South Sudan?” he responded. There wasn’t urgency in his voice, but even through the difficult connection I could tell the question was important to him. Slowly but purposefully, both Sudan and South Sudan have been positioning their armies at the shared border. There have been no open threats of war; just some saber-rattling about protecting civilians and the democratic process, but no real threats and no breakdown in communication. In a different time in history, the newest nation on earth positioning itself for a possible attack from its former host would make the front page and the evening news. But this is not that time. 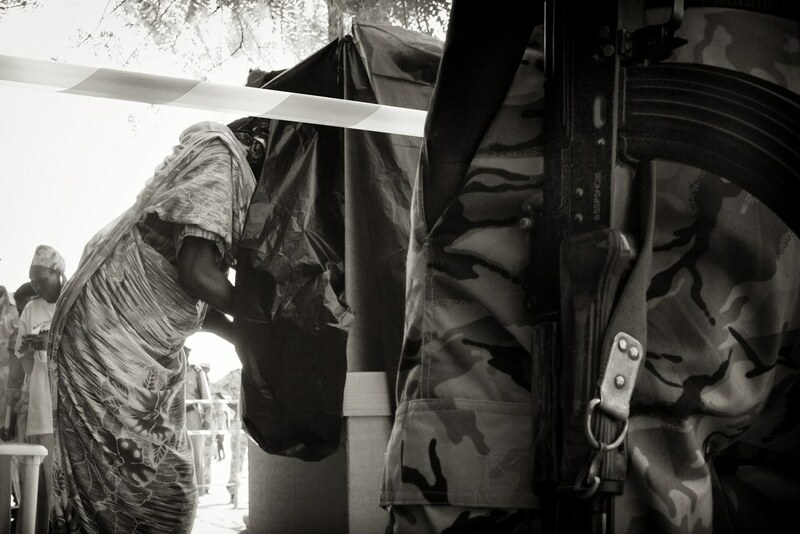 When I was in Juba last January, there seemed to be as many foreign journalists like myself wandering the city as there were South Sudanese; young men and women with expensive, hastily slung cameras around their necks. Or with an audio recorder and tethered microphone. Or just a notepad tucked under one arm and a cellphone up against their face, their aviator sunglasses glinting as they tried to file back to their editors. But all that’s over now. The road warriors left for Tunisia before the week of voting ended in South Sudan and the rest of us spent a few more days trying to find different ways to tell the same story before flying home. If a newly born democracy gets trampled on and no one is there to see it happen, who gets to tell that story? “I’m hoping to be back in mid July,” I said. I don’t know if the concern in my voice transferred over the digital fog to the other side. I had never been sure if my intentions were clear to Kuol and the others after I left Juba. I want to follow you around and understand your life, I want to videotape you and tell your story. I want to share what I see in your life with everyone else. It sounds clear, but little assumptions are made, and all that before culture and language enter in and make things more difficult. I chuckled as a weight lifted off my chest. Kuol and I were on the same planet. He was clearing mines out of some guy’s field in North East Africa. I was pumping gas in Orlando, Florida. Both truths existed. Life was not binary but a beautiful analog gradation of tone.